This is a very beautiful decorative piece. Add this conversation piece to your home decor today. Clock ship alluminum wheel antique 12 inch size. As seen in Ryan Gosling flat in LA LA Land. Made by Seiko, yellow / orange face. 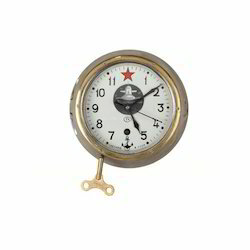 We are a prominent name of the market engaged in offering exclusive Table clock to the customers. Our range of Table Clock is perfect to keep mobile phones of different models in an efficient manner. 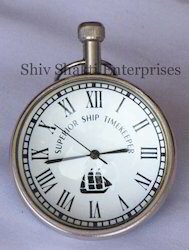 So as to win the much needed admiration and trust of our clientele we have been sincerely involved in offering a top notch collection of Ship Clocks. Moreover they are durable, come clubbed with efficient packaging and eminent and long usage life.